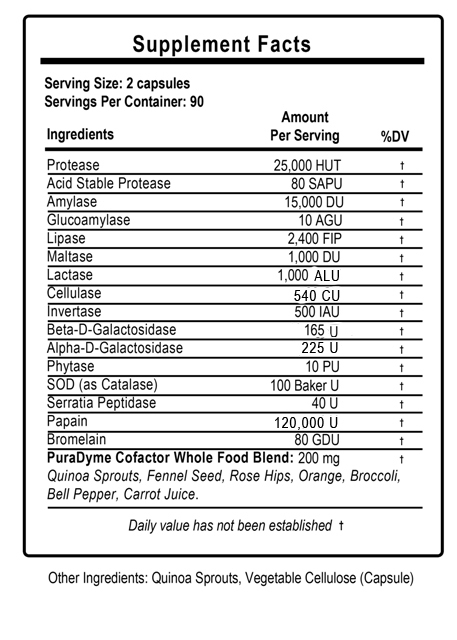 LiyfZymeTM are full spectrum, plant-based, super digestive enzymes, including sulfite-free papain. Using 16 different powerful enzymes this formula contains not only the highest enzyme activities but has been specially designed with the best ratios to meet today’s varying diets! Excellent for using with cooked foods and raw foods which are both enzyme deficient. 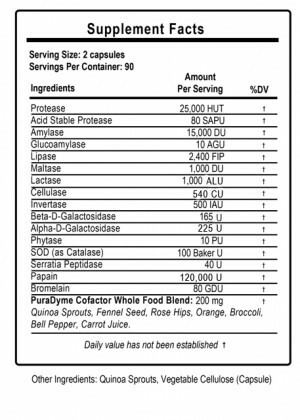 Enzymes are the vital workers necessary for optimal digestion, they are responsible for the breakdown and absorption of all nutrients, and are the body’s key communicators. Using all natural wholefood enzyme cofactors, Lifyzyme is able to create a soothing effect even for those who have extreme heartburn or indigestion. This makes this all-natural, non-synthetic Super Digestive Supplement the perfect choice for everyone!